The Royal Saudi Naval Forces have handed over command of the Combined Maritime Forces (CMF), Combined Task Force (CTF) 152 to Kuwait. 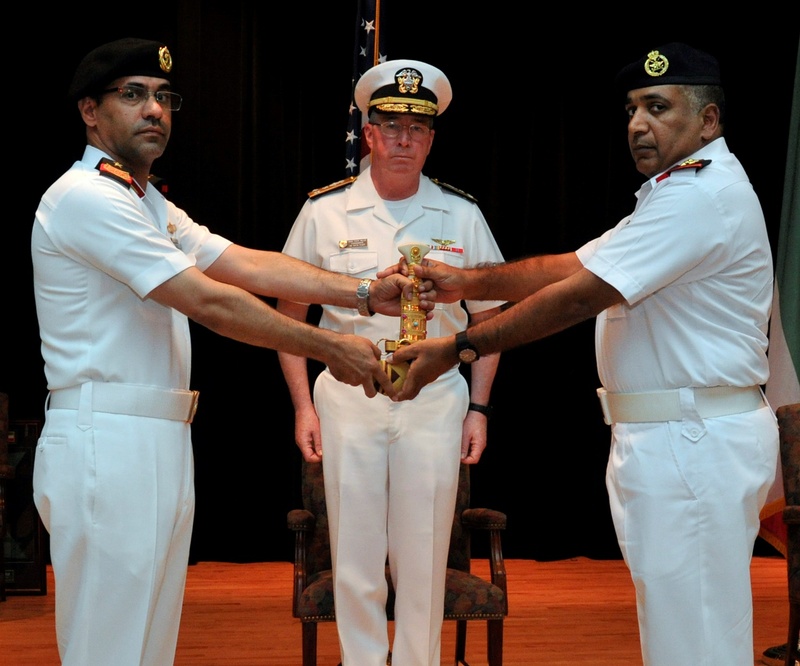 The ceremony, held in Bahrain, saw Captain Suliman Al-Enazi transfer command to Colonel Mohammad Aleid, Kuwait Naval Force. 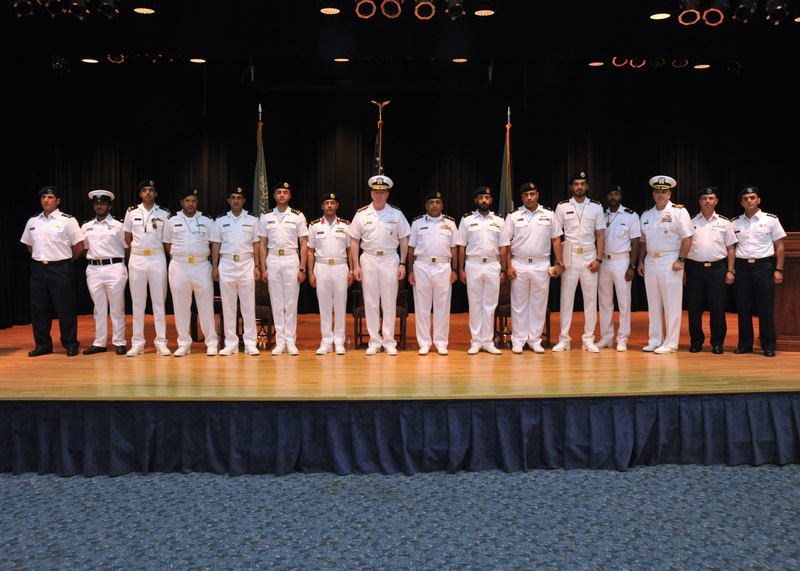 The Outgoing Combined Task Force 152 led by Royal Saudi Naval forces. 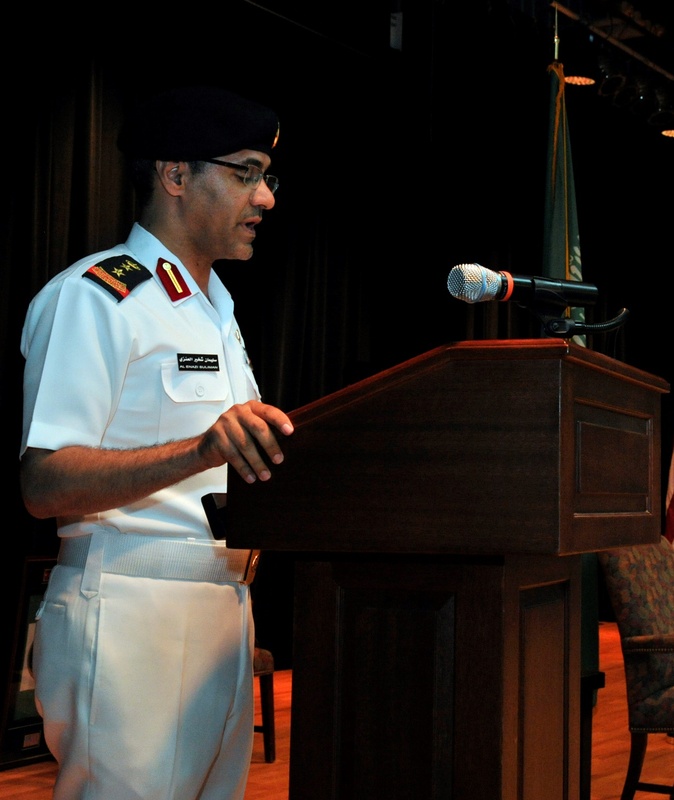 Captain Suliman Al-Enazi Royal Saudi Naval Force addresses the audience at the CTF152 change of command ceremony. 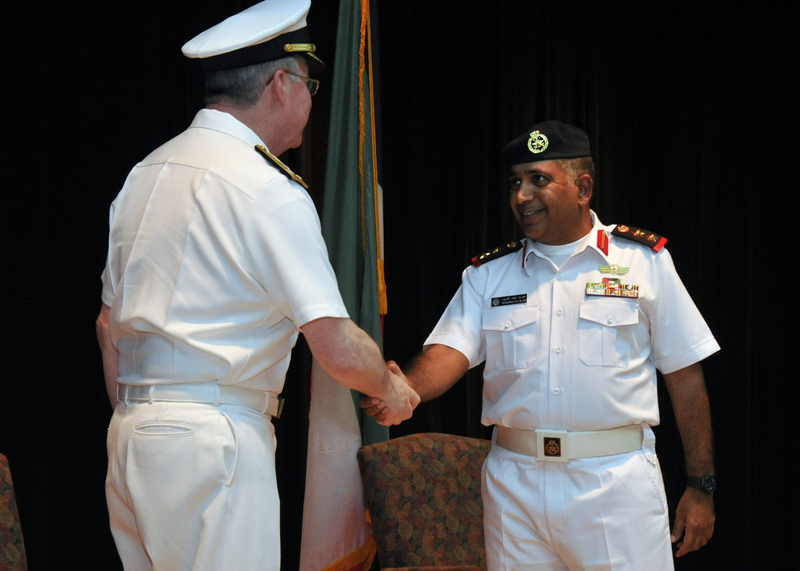 Captain Suliman Al-Enazi Royal Saudi Naval Force transfers command to Colonel Mohammad Aleid, Kuwait Naval Force with Vice Admiral John W Miller, Commander Combined Maritime Forces. In his speech, Vice Admiral Miller stated that Captain Al-Enazi provided wise counsel with his wealth of knowledge and experience and that he vastly improved the collective intelligence of the region and laid the groundwork for his successors to follow. Colonel Mohammad Aleid, Kuwait Naval Force being congratulated by Vice Admiral John W Miller on taking command of CTF152.